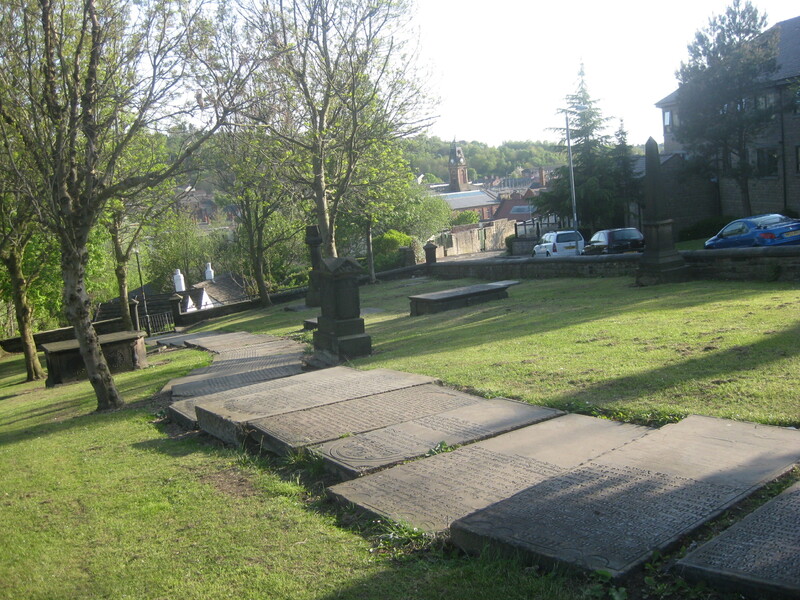 The Churchyard on Cocker Hill has seen some changes in the almost 250 years it has been looking down on Stalybridge. Three Churches have come and gone on the site and there have been a number of fairly serious landslips. Looking at the graves and reading the inscriptions is interesting too. Some are just so sad; for example in the one shown below for John and Peggy Kershaw you can see in the high infant mortality in the area only too easily. Their first child, Matty died in April 1800 aged 2 years, Mary died in May 1803 aged 4 weeks, Daniel died in june 1804 aged 9 weeks, Jno Hiram died in August 1807 aged 4 weeks, Nathaniel died in January 1811 aged 3 weeks, Margaret died in January 1812 aged 48 weeks and James died in February 1813 aged 7 weeks. 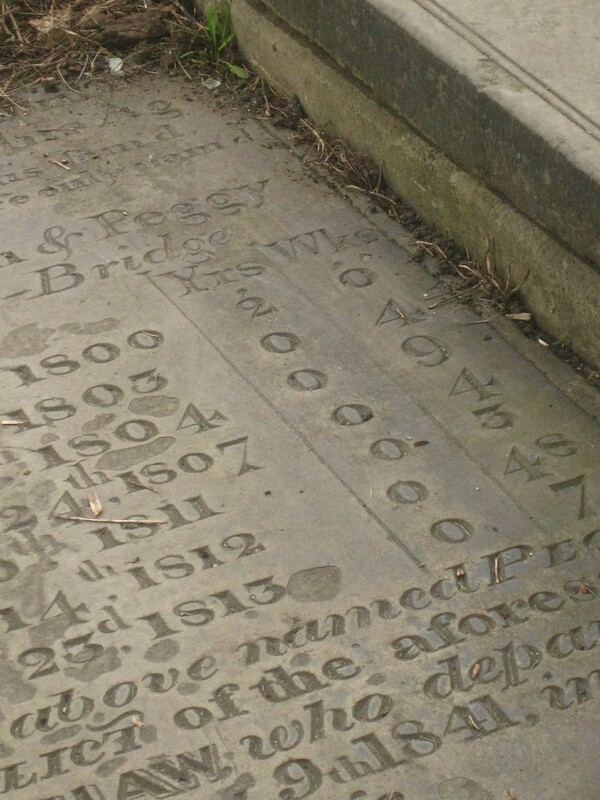 John Kershaw died himself in 1821 aged 48 and Peggy died in 1841 aged 68. John was the Sexton at the Cocker Hill Chapel. There are many other memorials with similarly sad stories to tell. There is a full list of all the gravestones and their inscriptions on the New St Georges Church Website. The land that the Church and Churchyard were built upon was originally owned by the Earl of Stamford. It was first conveyed in 1698 and was described in the deed as “a chance close, a parcel of land” It is recorded that nothing was made of the land at the time. 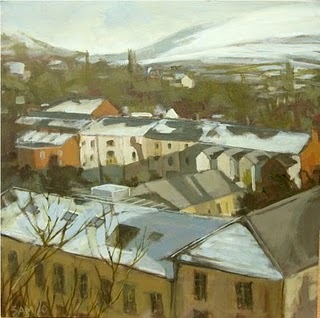 As the population of Stalybridge grew the need for a Church in Stalybridge increased . The first Church was built on the site in 1776 and was consecrated as the “Chapel of St George in Staley Bridge within Ridgehill and the Lanes in the Parish of Ashton Under Lyne”. The first recorded Burial in the Churchyard was 16 January 1777. In a “return” to the Bishop in 1821 the vicar the graveyard as described as being small-quite full and was kept in good order by allowing sheep to graze upon it. Tameside council now keep the graveyard in good order with regular mowing, but it is not unknown for sheep to graze on it even now. In the early hours of the morning a few years ago a neighbour of mine saw a small flock of sheep quietly grazing there……….we initially thought she was seeing things but it was a true a local sheep farmer had brought the sheep to graze on churchyard when his own grass was worn out. In the book Bygone Stalybridge there is an account of the funeral of Joseph Hall of Stalybridge. It describes Joseph Hall as being connected with the Staly Hunt and describes his burial in the Cocker Hill church yard “attended by upwards of a hundred devout followers of the chase, many of them dressed in their well-worn livery, and attended by their faithful hounds”. Apparently the sight provided material for a Lancashire sketch entitled “The Huntsman’s Funeral” by Ben Brierey. 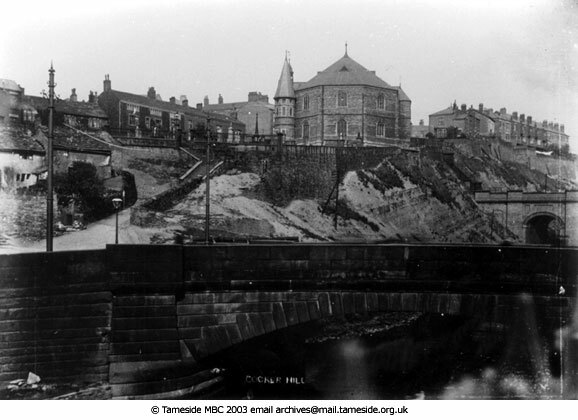 In February 1877 there was the first of two major landslips from the churchyard. Described as an “Alarming incident”. A section of the graveyard had collapsed onto the road below. An investigation by the police and the vicar showed that five or six coffins had fallen with the soil. The particular corner of the graveyard that fell was mainly used for the interment of still born children and it was these coffins that had fallen. Also when the work men began to sort through the debris it became clear that there appeared to have also been a number of unofficial burials of still-born babies in addition to those in the Church records. Infant mortality was high in those days and many people could not afford to have their children buried. News of the landslip spread rapidly and by the early hours hundreds of people were viewing the scene and were reported to be “lining the bridge and adjoining places eager to get a view of all that had gone on.” The photo below shows the church and churchyard and the bridge where the crowds stood to see what was going on. Old St Georges Church and Churchyard. 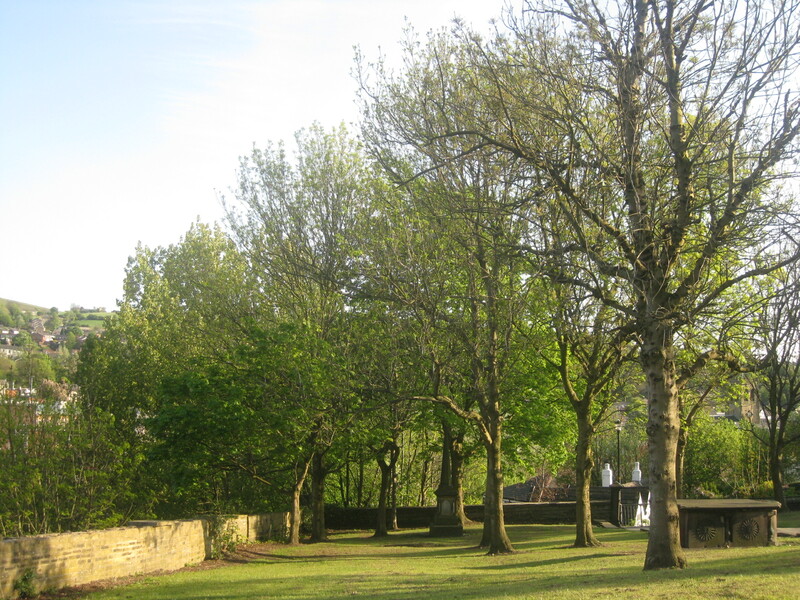 In 1968 the Church was demolished and in 1972 the churchyard was remodeled and landscaped with new trees planted. This apparently made it easy to cut the grass and keep it tidy. I understand that it was at this time that the gravestones were moved into the positions they are now in forming steps down into Stalybridge. A number of the past vicar’s from old St Georges had memorials in the Churchyard. The memorials for Rev Cape Atty and Rev Leeson can still be seen in the churchyard today. The memorials for Rev Kenworthy and Rev Jelly-Dudley were removed when the churchyard was remodeled. 1982 there was another landslip, not serious this time, just a small proportion of the retaining wall, and then in January 1983 there was another, more major landslip. This exposed he end of a large coffin and took a large section of the wall and a lot of earth into the River below. I’d love to have seen the local paper that week! At that time it was also discovered that a family vault had been disturbed some years before. There were signs that the Stalybridge Body Snatchers had been at work as the coffin lids were off, some coffins were on their ends and all were empty. However all that was in the past and the churchyard can now finally Rest in Peace and be enjoyed by all those who walk through it. Numbers 23 – 25 Cocker Hill are pretty special. 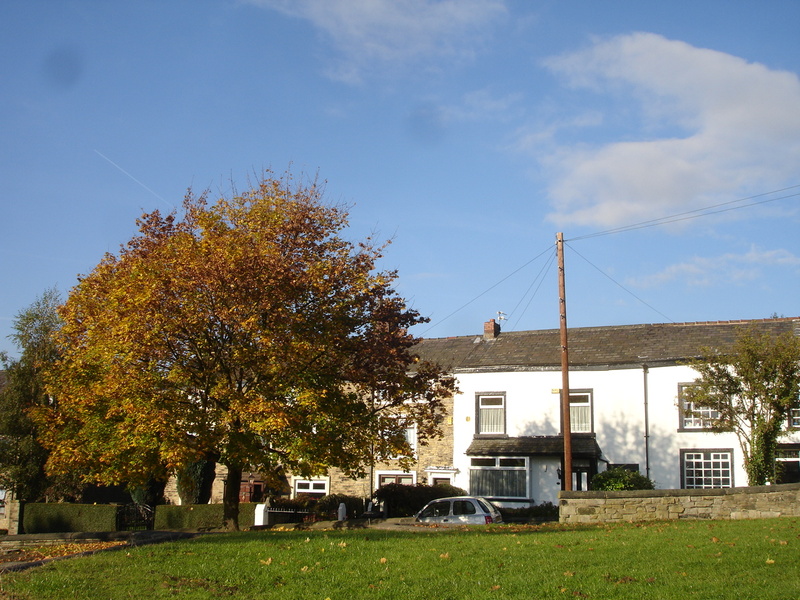 The cottages pre-date the Industrial Revolution and are among the oldest homes remaining in Stalybridge. I have not yet managed to find out exactly when they were built; 23 and 25 are recorded as being sold in 1750 and I’m guessing the others were in existence then too. Elizabeth A Cook Dau 20 Cotton?